Providing you the best range of frozen basa fillet, frozen katla fish, frozen prawns, frozen rohu fish and frozen tilapia fish with effective & timely delivery. 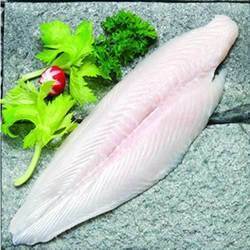 Being a customer oriented organization, we are offering to our esteemed clients premium quality Frozen Basa Fillet. The product offered by us is rich in protein and contains low fat like Omega-3. It is advised that regular consumption of fish (2 or 3 meals a week) is linked to significantly reduced risk of heart disease, stroke, bowel cancer and the prevention or mitigation of numerous other life threatening or debilitating illnesses. Our offered product is processed at our vendors end as per the set quality control system which follows GMP, HACCP, ISO 9001:2000 and SQF 2000 standards. The offered product taste good with grilling, pan-frying, steaming, curry, tandoor and barbeque. Available in 1Kg and 2.5 Kg Packs. We are highly acknowledged in this domain for offering a superior quality range of Frozen Katla Fish. Our offered fish is processed under the supervision of our vendors quality controllers in order to dispatch high-quality range to our clients' end. Apart from this, our fish is widely considered as highly health advantageous and is known for utmost freshness, sterile, rich aroma and delicious taste. Clients can avail this fish from us at market leading prices. Passed upon our rich industry experience, we are offering our clients a wide array of Fresh Frozen Prawn. 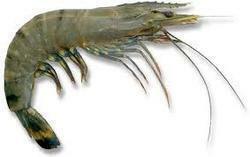 This fresh frozen prawn is widely consumed by people owing to its mouth watering taste. Our offered fresh frozen prawn is provided with different packaging options without affecting its quality. Our customers can take this fresh frozen prawn from us at pocket friendly rates. 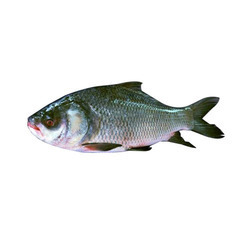 Our company is reckoned amongst one of the most reliable and renowned names immersed in the business of offering a comprehensive range of Frozen Rohu Fish. Widely used in homes, hotels and restaurants for the preparation of multiple dishes, these offered fishes are highly demanded and accredited for their delicious and yummy taste. Moreover, our customers can get these from us in bulk and urgent orders within the promised time. 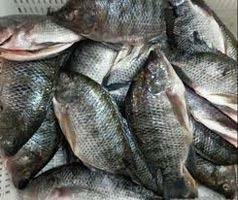 Owing to our expertise, we are providing a premium quality Frozen Tilapia Fish. Our offered fish can be processed into skinless, boneless fillets. It is the fifth most important fish in fish farming, with production reaching 1,505,804 metric tons in 2000. Tilapia fish is a good protein source and is also appreciated for containing vital micronutrients phosphorus, niacin, selenium, vitamin B12 and potassium. This offered product is ideal for marriages, parties, functions, retail sales and restaurant utilization.